According to online sportsbook Bodog, current Prime Minister Stephen Harper is a -150 favorite to win the upcoming election in Canada. Justin Trudeau, leader of the Liberal Party, is currently listed at +175 to win, while NDP leader Thomas Mulcair is listed at +600. These numbers mean that a successful $150 bet on Harper to win would return a profit of $100, while successful $100 wagers on Trudeau and Mulcair would return $175 and $600, respectively. 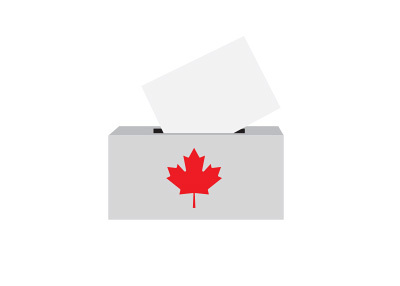 Canada officially goes to the polls on October 19th, though advanced voting will begin on October 9th. After a couple of months of campaigning, many Canadians have now decided who they will vote to become the next Prime Minister of Canada. According to CBC.ca, the Conservative Party currently has 32.3% support, while the Liberal party has 32.5% and the NDP has 25%. As of this moment, the Conservatives are projected to win 126 seats, while the Liberals are expected to win 118 and the NDP 92. Unless something unexpected happens, it appears as though Stephen Harper will maintain his hold on power in Canada with a minority government. Stephen Harper has been in power in Canada since 2006, as he has won via two minority governments (2006, 2008) and one majority government (2011). Many people in Canada are unhappy with the Harper government, though, given current trends, he appears set to form his third minority government. There was a time, shortly after the election was called, when some people thought that the NDP would win, perhaps even with a majority government. Times have changed, however, and Thomas Mulcair and his party are trending in the wrong direction leading up to the vote on October 19th. Quebec has been especially harsh for the NDP, as they have seen their support tail off dramatically in the province over the past month or so. Anything can obviously happen between now and October 19th and the polls may be wrong, but it appears as of this moment that Stephen Harper will hold on to power and win another election, likely with a minority government.